The New Star Wars Hotel Is Westworld With Lightsabers. What Could Go Wrong?The experiential hotel you never thought you needed. This Is Why Disney Spent Half a Billion Dollars on an Avatar Theme ParkIt all has to do with a certain boy wizard. Disney’s Pirates of the Caribbean Ride Will No Longer Feature a Bride AuctionOne less awkward, pirate-related question you’ll have to field from your kids this summer. ‘Star Wars Land’ Opens in This Galaxy’s Disney World and Disneyland in 2019Wizarding World of Harry Potter is getting some competition. Bippity Boppity Boo: Disney Intern Fired, Rehired Over Alligator TweetIt’s a sensitive subject. Guardians of Galaxy Taking Over Tower of TerrorBecause there isn’t enough Marvel stuff. It’s a Bird! It’s a Plane! It’s a … Fire-Breathing Flying Dragon!No, really, that’s what it is. Darth Vader Visited Disney WorldWe’d start with the Tea Cups. Star Wars Characters Dancing to LMFAO Way to destroy everything we know and love, “Dance-Off with the Star Wars Stars 2012” at Disney World. 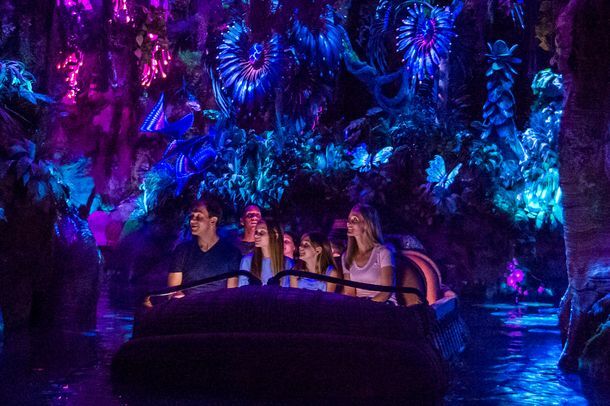 Disney World Will Soon Include Pandora’Avatar’ is coming to Disney World. Learn Some Questionable History at Disney’s Hall of PresidentsPoor Jimmy Carter.